You might think the only jewelry related to the Super Bowl is the ring the players receive after they have won the game, but there are other bejeweled moments. Tiffany has produced the Vince Lombardi trophy from the beginning of the event in 1967. The greatest prize of the game is crafted in silver by Tiffany with a regulation-size football in the kicking position. Diamonds have also lit up the stars of halftime in the last several years, setting shine to their performances and press conferences. Let’s recap. Last year, Lady Gaga pulled the ultimate power move by starring in her own Super Bowl ad that played right before her halftime show. The ad was for Tiffany’s new Hardware collection. 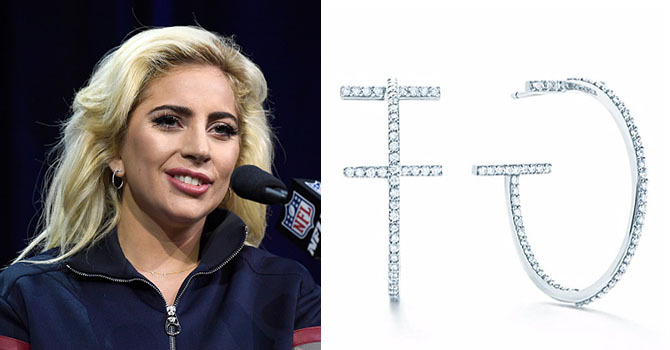 While she didn’t wear any jewelry with her sparkly stage costumes Gaga did wear Tiffany’s sleek Diamond Hoops during her press conference. 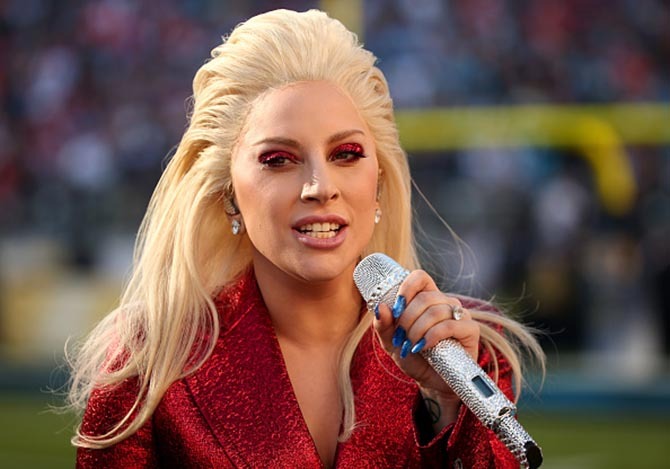 In 2016, Lady Gaga creatively showed her patriotic colors in a red sequin suit, blue nails and gigantic diamond studs from Lorraine Schwartz. She also sported the huge heart shape diamond engagement ring from Taylor Kinney that was designed by Lorraine Schwartz. 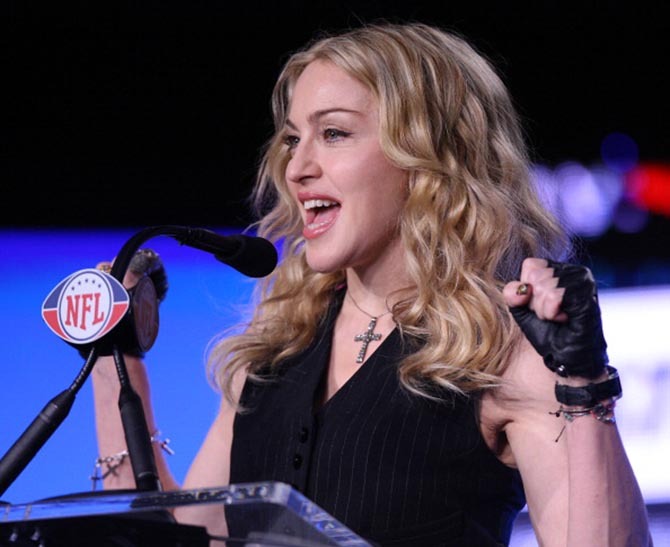 For her press conference in 2012, Madonna looked, well, like classic Madonna in fingerless gloves and loads of crucifixes. Her Cartier Latin cross bracelet was commissioned from the French house and inspired by the famous design the Duke gave the Duchess of Windsor with charms representing events in their lives. Madonna ordered it as a commemorative piece to celebrate her 2011 film about the couple’s love affair, W.E. Madonna likes her performances to have meaning and there was enough content to fill a thesis during her halftime performance at 2012 Super Bowl. 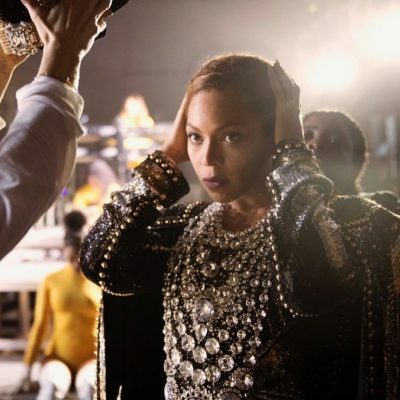 The gladiator chic theme styled by the B. Akerlund included a Givenchy ensemble, Miu Miu books, headgear by Philip Treacy and a spectacular pair of Bulgari 19.6-carat diamond and white gold earrings. Considering Madonna, doesn’t usually wear fine jewelry during her performances, it just shows how comprehensive Akerland’s vision was for the event. If I have to guess why the jewels made an appearance I would say it was related to the homage to Elizabeth Taylor’s iconic film Cleopatra that opens the performance. Bulgari, of course, being the Roman jewelry store where Elizabeth Taylor and Richard Burton first celebrated their love in gems while making the 1963 movie. 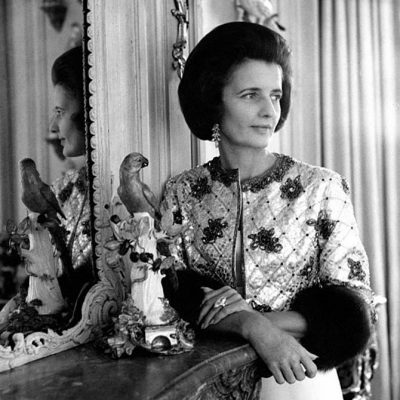 “Bulgari is the only Italian Elizabeth knows,” Burton teased at the time. Clearly, her Madjesty speaks the same language.